With the happy news that Helsinki is the site of the 2017 World Science Fiction Convention, it’s time for foreign fandom to find out about their new destination. You need the Armchair Traveller’s History of Finland, available now in print and Kindle form from Amazon UK and Amazon US. One hundred years old in 2017, the modern nation of Finland is also the heir to centuries of history and heritage, as a wilderness at the edge of early Europe, an important component of the Swedish empire, and a Grand Duchy of Tsarist Russia. From prehistoric reindeer herders to the creators of Angry Birds, medieval barons to the rock band Lordi, Finnish history is rich with oddities and excitement, as well as unexpected connections to the outside world – the legendary English bishop who became its first Christian martyr; the Viking queen who hailed from the wastes of Lapland; the bored country doctor who helped inspire The Lord of the Rings; and the many war heroes who held off the Soviet Union against impossible odds. 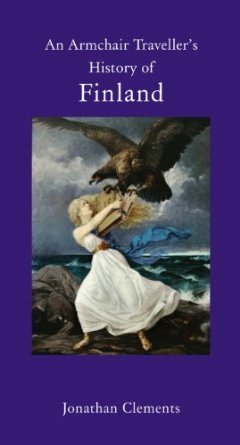 Jonathan Clements examines Finland’s public artworks and literary giants, its legends, folktales and its most famous figures, building an indispensable portrait of this fascinating nation, sure to add value to any visitor’s experience, be it for business or pleasure. Particular attention is paid to the historical sites likely to feature on any tourist’s itinerary. Special emphasis is also given to the writings and reactions of visitors through the centuries. A comprehensive and illuminating look at the rich history of this dynamic and little-known region, and an easy-to-use reference source for the tourist, traveller, and baffled science fiction fan. Jonathan Clements is the author of Mannerheim: President, Soldier, Spy, the biography of the Finnish president whose former career included a two-year undercover mission in China, posing as a Swedish ethnologist. The Silk Road is not a place, but a journey – a route from the edges of the European world to the central plains of China, through high mountains and inhospitable deserts. For thousands of years, its history has been a traveller’s history, of brief encounters in desert towns, snowbound passes and nameless forts. It was the conduit that first brought Buddhism, Christianity and Islam into China, and the site of much of the ‘Great Game’ between Victorian empires. Today, its central section encompasses the Xinjiang Uyghur Autonomous Region of China. The ancient trade routes cross the sites of several forgotten kingdoms, buried in sand and only now revealing their secrets. Jonathan Clements takes the reader on a journey through the trackless wastes of the Taklamakan desert, its black whirlwinds and dead lakes, its shimmering mirages, lost cities and mysterious mummies, but also its iconic statues and memorable modern pop songs. He explains the truth behind odd tales of horses that sweat blood, defaced statues and missing frescoes, and Marco Polo’s stories of black gold that seeps from the earth. 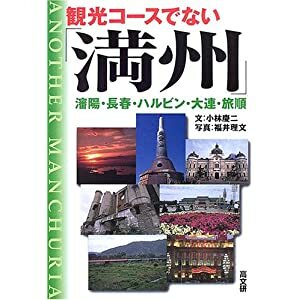 For travellers looking beyond their armchair, the book includes a gazetteer of important sites and travel tips, from the author himself and earlier travellers’ diaries. 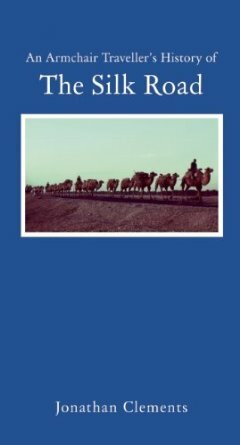 An Armchair Traveller’s History of the Silk Road is available now from Haus Publishing. My article on the Japanese adventures of James Bond is up online now on the Manga UK. Did you know there was a James Bond museum on Naoshima…?